Frederick C. ‘Fred’ Ivy, age 76, Joplin, passed away Wednesday, December 13, 2017. Fred was born October 18, 1941 in Webb City, Missouri to the late Henry and Mable Ellis Ivy. He was raised and attended school in Wisconsin before moving to Arizona for a period of time. Fred returned to Webb City in 1975. He worked in the construction industry as a carpenter most of his adult life. 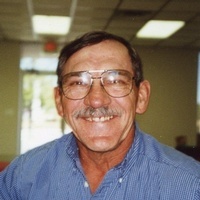 Fred retired from Crossland Construction Company in 2008. In addition to his parents, Fred was preceded in death by two brothers; three sisters; and a stepson, Steve Stokes. Survivors include his wife, Rosalie; two sons, Fred A. Ivy, Tucson, Arizona, William Ivy, Maryland; one step daughter, Peggy Staples and husband, Larry; two step sons, Randy Stokes and wife, Pat, Scott Stokes and wife, Jeannie; nine step grandchildren; fifteen step great grandchildren; and seven great great grandchildren. Graveside services are planned for Friday at 10:00 a.m. at Ozark Memorial Park Cemetery. Rev. Jeff Martin will officiate. The family will serve as pallbearers.